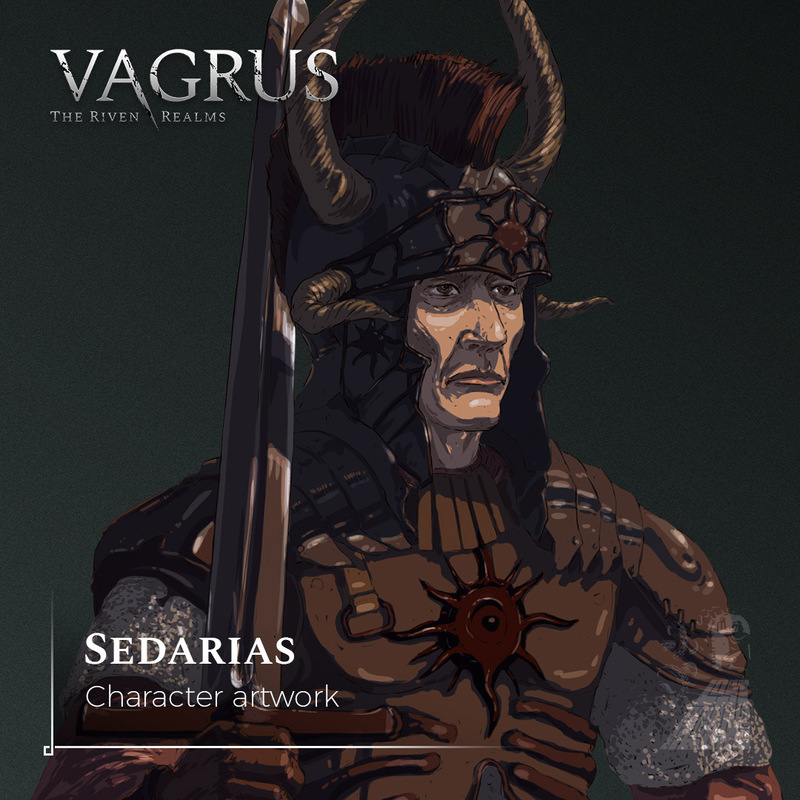 Meet Sedarias, one of the characters who can join your travelling company in the game. He is an Imperial human serving the Ordis Negras Solis (the Order of the Black Sun). Sedarias was knighted after a period of squire service under an infamous knight Konarius. Knights of the Black Sun worship Sergorod, God of Malevolence and Vengeance, and Ahskul, God of Death. The Order itself was created to bring the two clergies of these competing new gods closer in cooperation for the good of the Empire. Having been around for over 600 years, Ordis Negras Solis is the first and most powerful of the Imperial knightly orders. Its members are picked from the best soldiers, nobles, and warriors of the Empire. It is said that truly dedicated and powerful knights can even attain immortality in the form of free-willed undeath - a gift granted by the Twelve themselves, powerful Lich lords that run the Empire while the Emperor slumbers. Even though young Sedarias is far from attaining this boon, his superiors consider him to be a paragon of the Order’s tenets already. A shrewd and merciless man, Sedarias would do anything to serve the Empire and hunt down its enemies. Sedarias dons iron armor and carries a steel sword in the metal-starved world, which - together with his rigorous training and ability to call upon the dark magic of his gods - make him a force to be reckoned with on the battlefield. As an errant knight, his tasks lately varied between guarding aristocrats, aiding military exploits in the North, and hunting down Abolitionists. Due to the Order’s official status as inquisitors, investigators, and executioners, he can go as he pleases and interrogate who he wishes, a power that Sedarias gladly abuses for the good of the Empire. Stay tuned as we are going to introduce new characters, companions and enemies alike, each week.